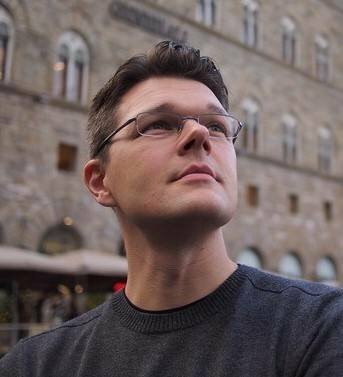 Vasco Hexel is our latest Routledge Featured Author. Read our interview to discover more about his recent book, The Film and Media Creators' Guide to Music. "I passionately believe that this book is important and I hope it will find its intended readers, to inform media creators to be more aware of the expressive potential of music; to alleviate any fear of music they might have, and to inspire them to become more musically minded collaborators." I have been running the Masters Programme in Composition for Screen since 2008 and have had the pleasure of working with many of the most promising young media composers of this generation. Through collaborations our programme helped set up, these composers’ wonderful scores have accompanied countless student films, animations, documentaries, and later professional projects. Observing the process and progress on these collaborations I soon identified recurring challenges and obstacles surrounding the use of music. It was no surprise that these issues reflected creative struggles in the wider industry. I wanted to help emerging multimedia creators who seldom are musically trained and understandably lack the capacity to conceive of music for their projects with confidence. Time and time again I saw this lead to a time-consuming and wasteful process of trial and error that sometimes prevented inspired solutions and probably frustrated other members of the creative team. Drawing on a wide range of examples and quotes from established professionals, my book aims to nourish a general appreciation of music applied to moving images, its affective potential and aesthetic value; to facilitate good practice through enhanced mutual understanding between key creative stakeholders (media creators, composers, music supervisors etc. ); and to unlock innovative expressive potential in the collaborative process of audio-visual contents and score / soundtrack creation. The objective is to give practical advice to multimedia creators how they can approach the planning, commissioning, creation, and placement of music in their next project, whether this music is compiled or newly composed; to review past practice and conventions and to highlight successful examples; to offer independent advice and stylistically non-prescriptive suggestions for working models that will empower creators and help produce compelling results. Readers need not worry: I am not advocating that they should use ‘more’ music. Not at all. I’m merely showing them that music, if and when it is felt to be potentially useful, can be planned and sourced / created efficiently and to best effect. This book is designed to be useful to filmmakers, audio-visual artists, computer game directors and other creators of audio-visual multimedia at different stages in their careers: aspiring, emerging, established. The modular structure of the book allows less experiences media creators to gain a thorough understanding of key concepts, terminology and working methods, whereas more experienced readers may prefer only to draw on chapters that complement gaps in their respective knowledge. Generally speaking, this book is 1) accessible to amateurs with a focussed interest in film, filmmaking and the use of music therein; 2) is intended as a textbook for taught courses at 2nd or 3rd year UG levels or PG courses in filmmaking, post-production, media music, computer games design, (audio-)visual arts. This book draws heavily on easily accessible and well-known examples from films, television programmes and other multimedia. The author is a full member of the British Academy of Film and Television Arts (BAFTA) which has a thriving computer games division. I tried to ensure global appeal in that the subject matter (i.e. use of music in audio-visual multimedia) and key concepts (creators’ common struggle, strategies towards better working models) are widely applicable across different creative cultures. The book is not stylistically prescriptive, thus allowing readers to apply the ideas conveyed therein to their respective local market. Furthermore, the international film industry is markedly globalised and core techniques, concepts and the audio-visual language of multimedia shared (US, UK, Asia, Europe). The same applies to filmmaking courses and curricula in different countries. I myself have observed commonalities between filmmaking courses in countries as diverse as US, UK, Germany, Poland and China, to name a few. I enjoyed the challenge of making opaque music terminology accessible to laypersons. Sourcing suitable music examples from a wide range of films, TV shows, and computer games was fun. I was born and raised in Germany and left provincial life to study Film Scoring and Vocal Performance (dual major) at the Berklee College of Music in Boston. I then moved to London where I studied at the Royal College of Music toward and MMus in Composition for Screen with Joseph Horovitz and David Burnand (who became my mentor in many ways). I wrote my PhD thesis ‘Understanding Contextual Agents and their Impact on Recent Hollywood Film Music Practice’ at RCM as well. I think I have a great deal of empathy for the needs of my students and my readers. I try to be open-minded and balanced in my approach (be it styles of music, flagging different possible approach to the same challenge, etc.). Also, I like clarity and prefer to use simple terms rather than overly ‘academic’ language. 11.22.63 by Stephen King. It’s a thrilling read. 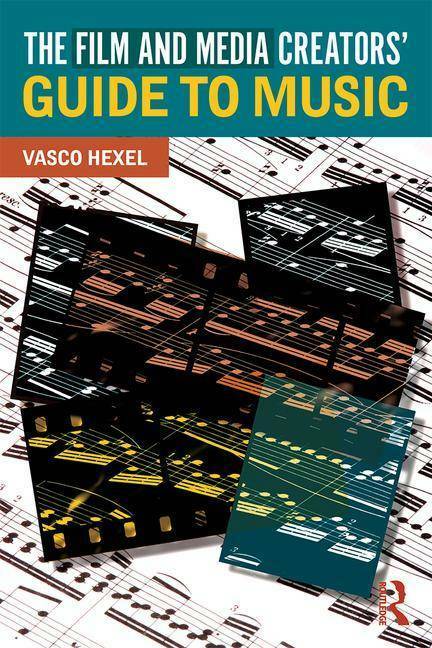 Click on the image below to access a free chapter of Vasco Hexel's recent book,The Film and Media Creators' Guide to Music.